For centuries, practitioners in China have used red yeast rice as a food ingredient and a natural medicinal remedy. Because it's believed to lower blood lipids including triglycerides and cholesterol, the supplements have gained popularity in the Western world. If you're thinking about using a red yeast rice supplement, you'll want to weigh the pros and cons. According to the Mayo Clinic, red yeast is created when rice is fermented with Monascus purpureus yeast. Red yeast contains monocolins, in particular monacolin K, which has the same structure as lovastatin, a main ingredient in some prescription, cholesterol-lowering statin drugs. The substances monacolin K and lovastatin are often used interchangeably. Because of their monacolin K content, manufacturers market red yeast rice supplements as being effective for lowering cholesterol. However, this same content sparked an FDA dispute over whether or not red yeast rice supplements should be labeled and regulated as drugs. In addition, despite the fact that monocolin K occurs naturally in red yeast rice, its ownership is in question. According to WebMD, the pharmaceutical company that manufacturers Mevacor, a statin drug whose main ingredient is lovastatin, argued that it owns the rights to the ingredient. Eventually, the FDA ruled it illegal for supplements to contain anything more than traces of cholesterol lowering ingredients, including levastatin (monocolin K), in the United States. 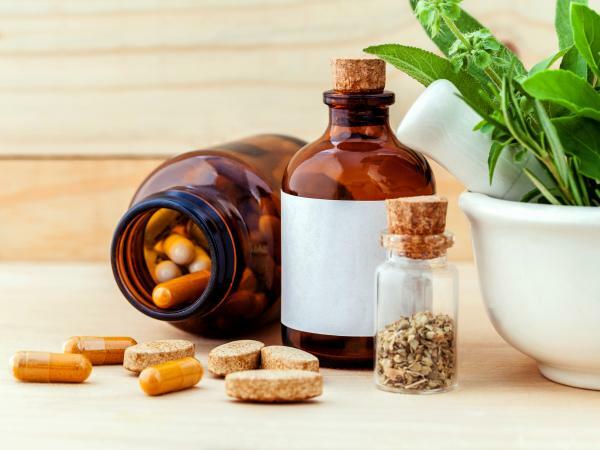 This sparked an outcry by natural health practitioners and people who were using the supplements as an alternative to prescription statin drugs. The FDA maintains that since lovastatin has the same potential to cause side effects as other prescription statins, it should be considered a regulated drug and not a supplement. Despite the FDA changes, red yeast rice remains popular. However, it is is important to understand that most studies showing health benefits were performed using the supplement Cholestin, which contained high levels of lovastain. This brings into question whether or not supplements that contain no lovastatin or only trace amounts offer any health benefit at all. However, the National Center for Complementary and Alternative Medicine (NCCAM) states that one study showed a significantly lower than expected cholesterol drop based on monacolin K levels. As a result, they are studying other substances found in red yeast rice to determine if they are also responsible for lowering cholesterol. According to the Mayo Clinic, studies show red yeast rice may reduce LDL (bad) cholesterol levels if it contains high amounts of monacolin K.
There are some drawbacks to using red yeast rice supplements. You'll want to weigh these carefully with the benefits. There are some serious side effects to think about when using red yeast rice. According to NCCAM, if you use supplements containing high amounts of monocalin K, side effects are similar to those caused by prescription statin drugs. More research is needed to determine whether or not supplements containing trace amounts of monocalins have the same risk of side effects. You can find red yeast rice supplements at your local natural health store. You can buy them alone or combined with other ingredients such as CoQ10, but when it comes to purchasing red yeast rice supplements, the saying 'buyer beware' rings true. Because it's illegal for red yeast rice supplements to contain more than trace amounts of lovastatin in the U.S., most supplement manufacturers no longer include actual monacolin amounts on their labels. As a result, while a product may specify it contains a certain amount of red yeast rice, there's no way to know the actual monacolin content or how the ingredients were processed. This is important for a couple of reasons. According to NCCAM, it's unknown if supplements containing only trace amounts of monacolin have any effect whatsoever on cholesterol or health overall. According to WebMD, a 2010 study analyzed twelve red yeast rice supplements and showed concentrations of monacolin in each varied widely. Additionally, one third of those samples contained the toxic substance citrinin. If you decide to use red yeast rice, consult your physician or a certified natural health practitioner for a reputable supplement recommendation. 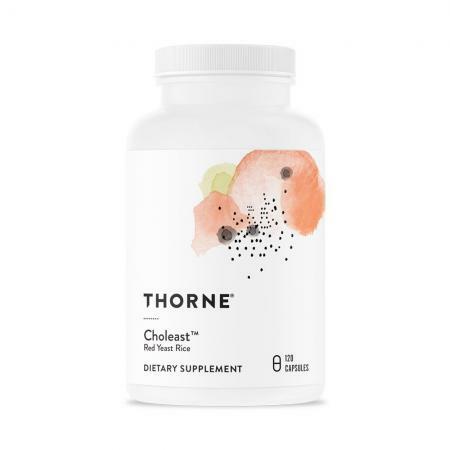 Thorne Choleast (Red Yeast Rice) - As a high-end supplement company, Thorne is known to produce reliable and pure supplements. The company tests for 760 possible contaminants in supplement ingredients and undergoes rigorous third party testing. This supplement is a mixture of coenzyme Q10 and red yeast rice at a price of $36.00 for 120 capsules. Each capsule contains 600 milligrams of red yeast rice. You can purchase this supplement on Thorne's website or Amazon. Amazing Formulas Red Yeast Rice Dietary Supplement - This red yeast rice supplement comes at a fraction of the cost at $14.99 for 120 capsules. Each capsule also contains 600 milligrams of red yeast rice. This supplement is made by Amazing Nutrition, a company known to supply pure supplements with no artificial colors, flavors, sweeteners, unnecessary filler, or binders. Amazing Formulas Red Yeast Rice Dietary Supplement is available online at the company's website. It's extremely important that you talk to your doctor before using a red yeast rice supplement. Not all doctors agree that red yeast rice products should be used in treating high cholesterol. Given the scant amount of cholesterol lowering substances the FDA allows in the supplements, the benefits may not outweigh the risk of serious side effects. Your doctor knows your medical history and what medications you currently take. He or she can help you weigh the pros and cons and come to an informed decision that's best for your health.